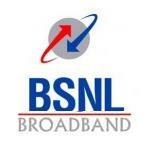 Bharat Sanchar Nigam Ltd has introduced 3 new plans for its Broadband Subscribers. 2 of the 3 new plans are Unlimited Combo Plans under Home Category and 1 of the 3 new plan is Limited Combo Plan under Home & Business Category. These new plans are BB Home Combo ULF 1400, BB Home Combo ULF 1700 and BBG Combo 1500. BB Home Combo ULF 1400 offers bandwidth of 4 Mbps upto 25 GB and beyond 25 GB bandwidth of 256 Kbps. 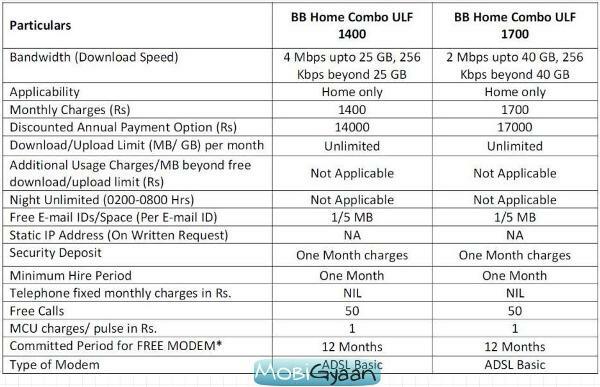 BB Home Combo ULF 1700 offers 2 Mbps upto 40 GB and beyond that 256 Kbps. 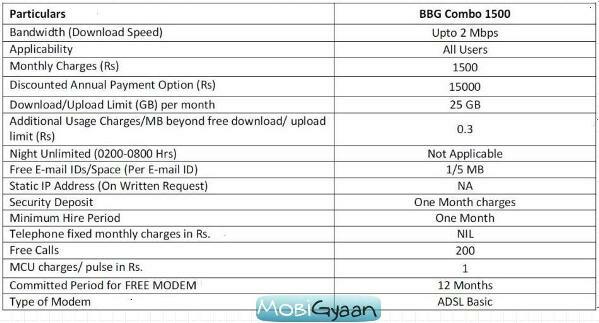 BBG Combo 1500 offers bandwidth of upto 2 Mbps but its a limited plan with free usage of upto 25 GB.